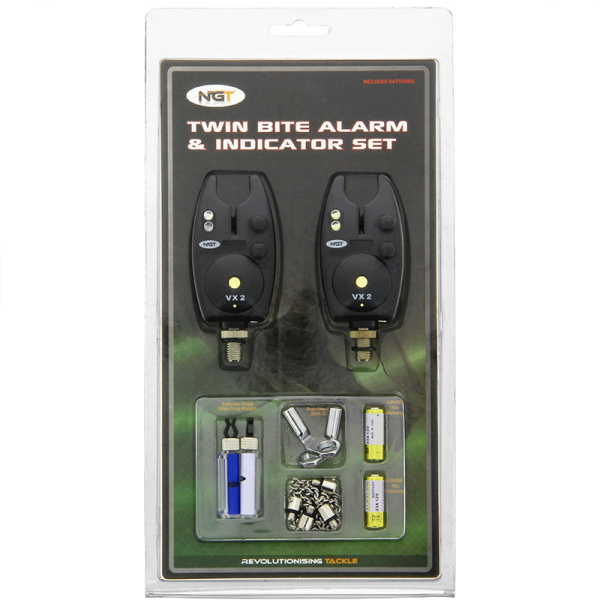 With the NGT VX2 Bite Alarm & Indicator Set you are ready to go carp fishing or deadbait fishing for predators! 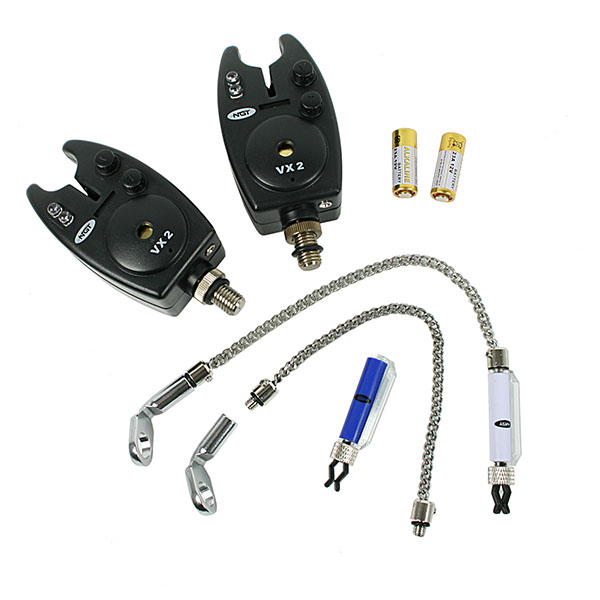 The set consists of 2 bite alarms, 2 indicator sets and 2 batteries. The bite alarm features adjustable volume and adjustable tone control. They fit onto all regular banksticks and rod pods. The bite alarms are splash-resistant and feature an LED. The hangers’ line clips do not damage your main line and allow for very sensitive bite registration!